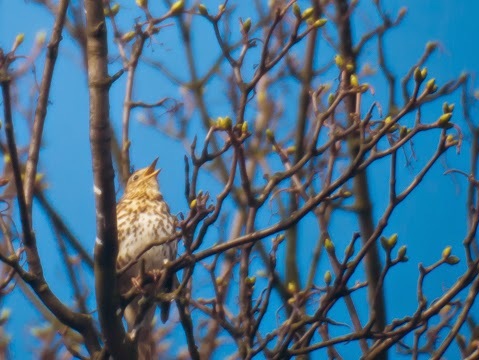 We have had a song thrush singing loudly in the garden for about a fortnight now. His favourite spot is right in the top of the large sycamore tree to the west of our garden. This shot was taken from about 40 yards with the equivalent of a 1000mm lens so isn't the sharpest but you can see him calling.